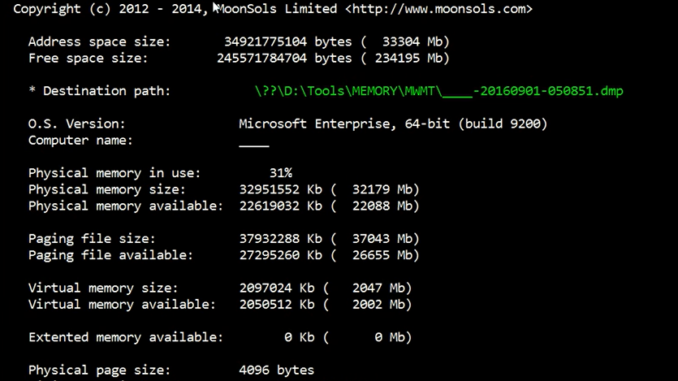 The last part of the 5 day Challenge was a quick introduction about forensics how you can create a complete memory dump of a windows system or create a minidump of a particular process. I’ve decided to extend this article a little bit with further study of that Blog article from Paula. Let us imagine that we have to deal with a compromised windows system and for evidence reasons we want to save a whole memory dump of the operating system. 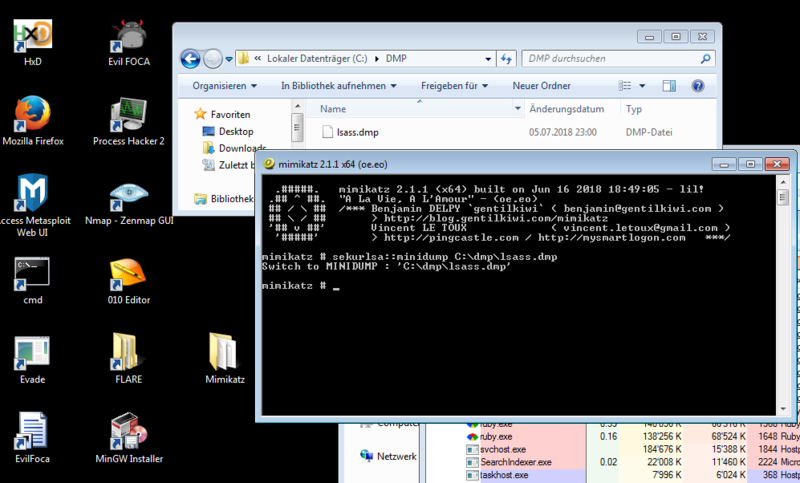 There are different tools to do that, but let’s first have a closer look on a tool called Dumpit.exe from Matthieu Suiche. It’s a simple and portable tool which allow us exactly to do that. The only thing you have to check is the destination path where you want to dump file get stored. The next thing we want to cover before we go into analysis is how to create a dump of a certain process. There is a tool called procdump from sysinternals which we can do that. 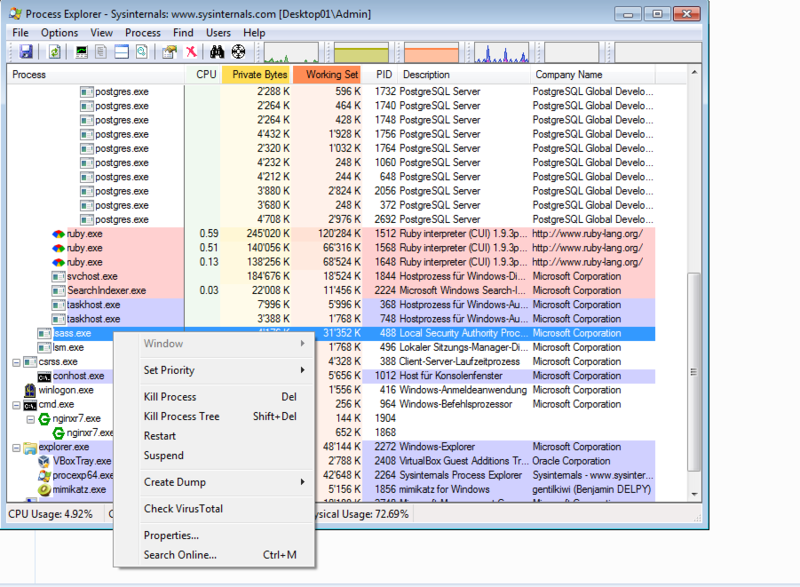 It’s also included in process Explorer and alternatively we can use ProcessHacker. 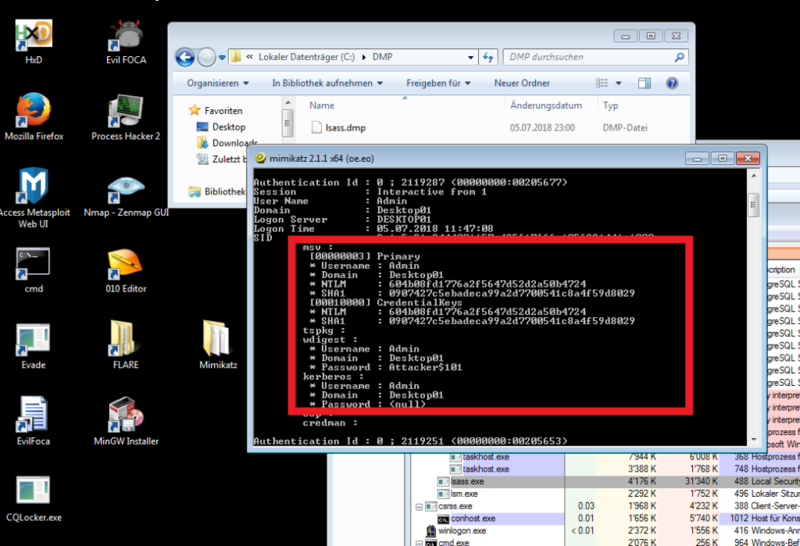 After doing that we want to check if we can grab out some sensitive logon informations with mimikatz. I won’t go deeper at this point, but slightly cover a toolkit called volatility framework which is a set of python scripts to do further memory analysis. Which process in the OS can contain data about active users? How can you create a process dump with tools built-in into Windows OS? Which utility allows you to discover passwords from lsass.exe? Which file does not conatain sensitive information about passwords? Is it possible to create lsass.exe dump on the remote machine? Yes with some form of remote tools like psexec etc.